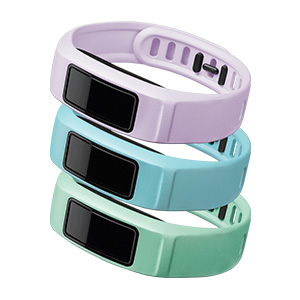 Keep on track — and be stylish — with these colored bands for your vívofit 2. The bands come in packs of 3 based on color and wrist size — small (4.7-6.9”/120-175 mm), large (6.0-8.3”/152-210 mm) or extra large (7.9-11.6"/200-295 mm; available in neutral only). - Energy - canary, pink and violet. Just remove vívofit 2 and pop it into a different band for the ultimate personal accessory. Which pack reflects who you are?